We are 858 Locksmith Company, an automotive locksmith San Diego company providing the highest quality locksmith services in the San Diego, CA and surrounding areas. We offer complete locksmith service that we hope will set us apart from our competitors, earn us a place as the best automotive locksmith San Diego service in the area, and help us build a mutually beneficial relationship of trust and dependability that will make our customers want to deal with us year after year. We make a promise to you that you will only receive professional, honest, and hassle free service from us at a price that will go easy on your wallet. We understand how frustrating losing your car keys or locking them in your car can be, and that’s why 858 Locksmith provides fast 24/7 locksmith service, and guarantees a 30 min response time. Our services are fast, efficient, and dependable because we will only use the latest high tech tools, and better yet, we provide up front pricing for all our services. We want you to know exactly how much you will be paying for our services before we finish our work. All work is done using cutting edge, high-tech tools. Our complete locksmith service includes 24/7 locksmith service, car key cutting and laser cut keys, transponder key programming, car key extraction repair services for chipped keys, replacement of broken car keys, ignition switch repair and replacement services, car lockout service, smart car keys, car key duplication, and other services for all makes and models, foreign and domestic, and we also replace lost car keys, make spare keys, unlock trunk and car door, and repair car key fobs and remotes. 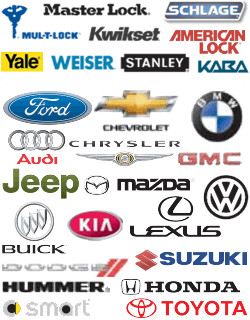 Our services cover the San Diego, CA and surrounding areas, as well as all foreign and domestic automobile makes and models. All of our expert technicians are field tested, and have 5+ years experience in the industry. We provide complete automotive locksmith San Diego service with accurate up front pricing, so that you know exactly how much you will be paying for services before we finish, as well as fast and friendly service. We screen every staff member we hire, so you can be sure you only receive service from the most trustworthy, dependable, and reliable technicians in the business. We cannot achieve our goal of becoming the best automotive locksmith San Diego service otherwise! Our business is licensed bonded and insured in the state of California, and we stand behind our work. If for any reason you’re not satisfied with your experience with us, don’t hesitate to let us know and we’ll make it right for you. We want you to be 100% satisfied with our services, so that you will continue to depend on us for your locksmith needs. We will work to achieve our goal of becoming the best locksmith service in the area one customer at a time. The next time you need automotive locksmith service, and are located in the San Diego area, or surrounding suburbs, consider 858 Locksmith for your locksmith needs. We use only the best tools that are designed to get the job done quickly and effectively. Our mobile locksmiths will be happy to assist you with any problems you have, whether you need simple car key extraction, or ignition switch replacement. We pledge to give you the fast, friendly, and dependable service you crave and deserve, because it is our goal is to become the best automotive locksmith San Diego service in the area, and we cannot achieve this goal without the support of the customers we serve. Give us a call at the phone number at the top section of our website. You will be glad that you did. Automotive Locksmith https://858locksmith.com/auto-locksmith/ 4.2/5 based upon 11 reviews.